A Memorial Service for Bruce L. Foss of Badger, MN will be held on Monday, March 25, 2019 at 11:00 AM at the Badger Creek Free Lutheran Church in Badger, MN. Visitation will be Sunday evening from 5-7 at Helgeson Funeral Home in Roseau, with a 7:00 prayer service and also one hour prior to the service on Monday. Bruce Foss passed away on Tuesday, March 19, 2019 at the age of 66. Bruce Lowell Foss, the son of Lila (Haaby) and Charles Foss, was born on September 14, 1952, in Roseau, Minnesota. He lived on a farm near Badger, MN with his family. He attended and graduated from Badger High School in 1970. He then attended AVTI in Thief River Falls, MN for two years where he studied mechanics. On April 23, 1977, he and Janice Lasneski were united in marriage. They lived near Badger and raised their three children; Sarah, Brian, and Andrea. Bruce farmed and worked at Marvin Windows and Doors until he retired. On September 14, 2010, he and Alice Colby were united in marriage. They enjoyed gardening and taking care of their pets. 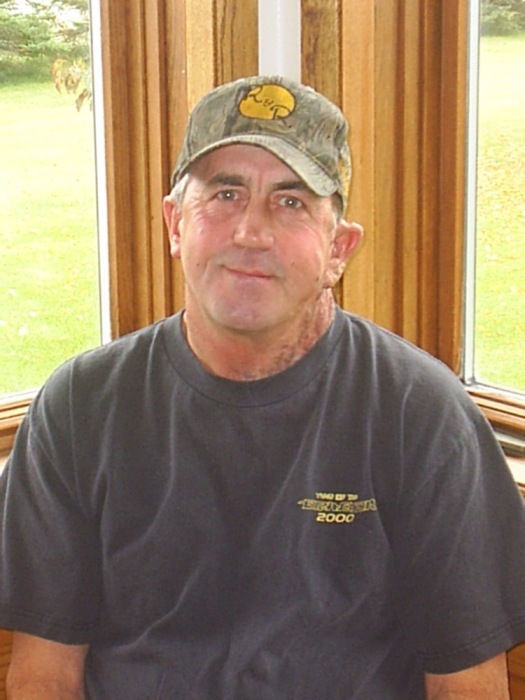 Bruce enjoyed dancing, motorcycling, hunting, four-wheeling, ice fishing, camping, and spending time with family and friends. He loved playing jokes on and being silly with his grandkids. Bruce is survived by his wife Alice; his children Sarah, Brian (Sarah), and Andrea; eleven grandchildren; sisters Sandra (David) Bridges of Williams, MN, and Gail (Glen) Haugen of Badger, MN and brother Gary of Cedar Falls, IA; and many nieces and nephews.